"Liverpool will be there at the wire, even if there are two or three games to go and they're a point behind or whatever it may be, I still believe Liverpool will be in the title race. " 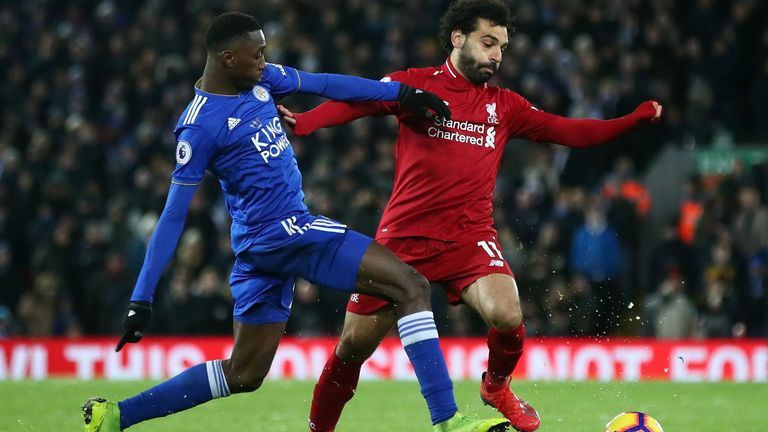 The Reds remain top of the table by three points, but have drawn their last two fixtures against Leicester and West Ham as Manchester City and Tottenham gain ground. 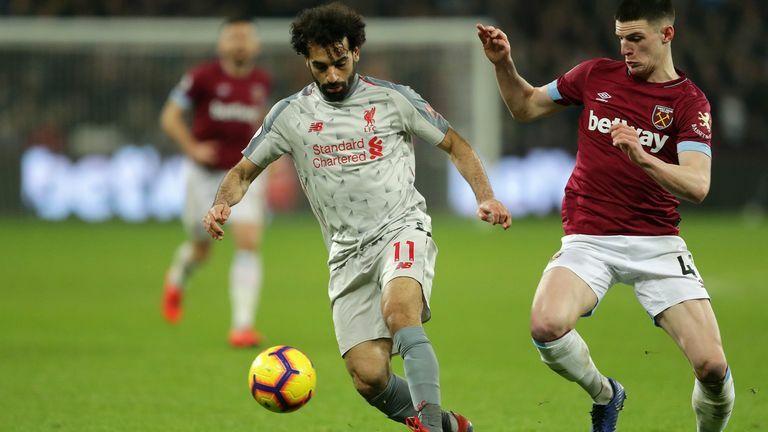 Following the 1-1 draw with the Hammers on Monday Night Football, Carragher believes that recent results are just a slight dip in form and Liverpool will soon get back to winning ways. 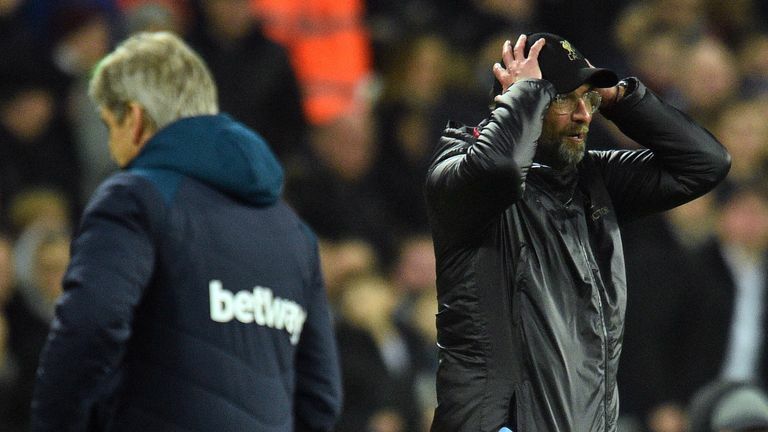 "I think there was a lot of frustration there and rightly so because there were poor performances - I couldn't believe how poor Liverpool were tonight," he said. "But I think there is still a bit of perspective needed in that Liverpool are still top of the league and if they go one or two points behind City or Tottenham, they are still in the race for the league. It might not be the end of the world if Liverpool went level or a point behind or something like that, it feels like there is this lead that they are trying to hang on to. "Liverpool haven't had a blip yet this season. Man City had a spell where they lost three games in four, Liverpool have drawn two on the bounce and Tottenham have lost various games at different times - it may just be a case of that. "But what they haven't done is stop the talk of Liverpool feeling pressure and that will carry on straight into the Bournemouth game. "Liverpool will be there at the wire, even if there are two or three games to go and they're a point behind or whatever it may be, I still believe Liverpool will be in the title race." "Liverpool shouldn't forget that they are a top side and what we're seeing won't continue, this won't be happening every game. Liverpool will go on a run of winning five or six games at some stage before the end of the season, there's no doubt about it. "They are a fantastic side as are Tottenham and Man City, but this run that they're in may just be a little blip but they will come back." Carragher also reiterated the importance of manager Jurgen Klopp as Liverpool attempt to win their first league title in 28 years and believes the Champions League will have an impact on who this season's winner will be. "Jurgen Klopp is massively important and he has a huge influence on what Liverpool are doing," he added. "He is the big figure in the dressing room who has been in these positions before. Not in England, but in Borussia Dortmund - probably Bayern Munich or Bayer Leverkusen chasing them down - and he would have had games like that where it hasn't gone well. "Obviously there is James Milner in there too who has won a title, but it is not a dressing room full of winners yet. They are all still waiting for the first time they do something big. The questions won't go away and the only way they can answers them is on the pitch, but they are still three points in front. Yes, it could have been seven, but there is still a long way to go. "Liverpool will be there at the wire, even if there are two or three games to go and they're a point behind or whatever it may be, I still believe Liverpool will be in the title race. The points that they are losing now, it's too early for it to have an effect on the title race. "When it gets down to the single figure games, coming out of February and into March, then the Champions League kicks in - whoever goes furthest in that will have a big bearing - so there is still a long way to go."